The Return Of The One-Room Schoolhouse : NPR Ed "Hyper-local micro-schools" bring the tiny school into the digital age. 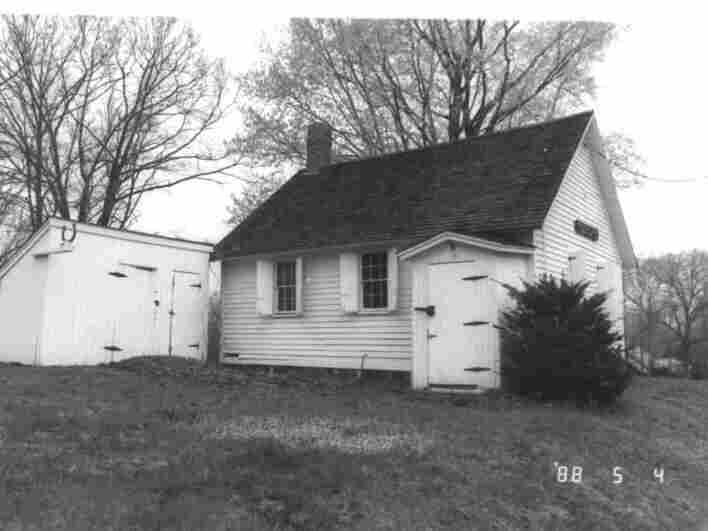 The West Street Schoolhouse in Southington, Ct., was built around 1760. It was heated with a potbellied wood stove. But in most of America, the idea of students of all ages learning in a single classroom, with a single teacher, has long been as dated as the donkey cart. Urbanization, the advent of the school bus, and the quest to standardize and upgrade education spelled doom for the one-room school in the last century. "Modern roads, modern transportation and modern minds open to the future, cannot tolerate the condition that attends the one-teacher school," wrote the Tuscaloosa News in 1931. At that time there were still a reported 150,000 such schools nationwide. "Their abolition is certain and every decrease in their number means increased intelligence for the children of the present and of posterity." Well, as with many things in life, old can suddenly become new again. Today, the "micro-school" is being touted as an important model for creating innovative, personalized learning experiences. Such an environment, the thinking goes, can ease the creation of close relationships among teachers and students. And it can provide an easy venue for experimentation. Matt Candler founded 4.0 Schools, a New Orleans-based incubator that helps launch for-profit and nonprofit education ventures, including mSchool, which establishes small "pop-up classrooms" with online curricula in community centers. He wrote recently about the return of the micro-school. "I think there's such a massive demand for better options public and private," Candler tells me. "I think it's very likely you'll see a NOLA-launched micro- school, if not a wave of them." For much of the 20th century, schools got bigger, not smaller. And there were good reasons for it, like reducing costs and making greater use of diverse teacher expertise. But now, software and Internet connectivity are nudging the cost of a broader, high-quality curriculum toward zero. You don't necessarily need a dedicated Swahili teacher to teach Swahili. Candler and others believe the costs of large schools are starting to outweigh their benefits. These micro-schools take many forms. Enrollment can range from a few students to a few dozen. Some, like the Tiny School in Abilene, Texas, are simply collectives of home-schooling families who get together and hire a teacher. "We decided if we could get through the first year, and [our daughter] Mary thought school was a good place to be, we would have succeeded," says Matthew Lowe, who started Tiny School last year with six kindergarten students, three days a week, in a borrowed church. This year, the school will have three mixed-age classrooms with three teachers. "After the year was over, the kids were disappointed and asked when they could start again," Lowe said. "That seemed like a pretty good sign." Others, like Brightworks in San Francisco, the Brooklyn Apple Academy and Acton Academy in Austin, largely follow the vision of one educator, be it project-based learning, an arts focus or the Socratic method. Brightworks founder Gever Tulley coined the term "hyper-local micro-school." Micro-schools can transcend the isolation of those rural cabins of yore with social media and digital resources, field trips and visiting experts arriving by Google Hangout. Supporters say they can function as small nodes in a global learning network. That's the vision of alt.school, a startup founded by a former Google employee that has raised a reported $33 million in venture capital. Alt.school will open micro-schools in four different San Francisco neighborhoods this fall. Each features from one to four mixed-age classrooms. The schools will share a single software platform that creates a personalized learning plan for each student and helps measure their progress. Alt.school boasts a team of researchers and will enlist teachers in conducting classroom experiments for "continuous improvement." The company's business plan calls for it to expand nationwide. Among public schools, where funding is a perennial issue and class size a perennial lament, the one-room schoolhouse is a dwindling species. NPR reported in 2005 that there were fewer than 400 left. Maybe the micro-school could, ahem, make the idea big again.